The Stagwell Group, the investment advisory company formed by Penn Schoen Berland co-founder Mark Penn, has acquired certain custom research assets from Nielsen, including the Harris brand and Harris Poll. Terms of the deal have not been disclosed. The Harris business was established in 1956 by John F. Kennedy's pollster Louis Harris, who in 1963 set up the Harris Poll to measure public opinion in the US. The business was sold to investment firm Donaldson, Lufkin & Jenrette in 1969; then again to media giant Gannet in 1975; and to political polling company Gordon S Black Corporation in 1996. Nielsen then acquired Harris Interactive in 2013 for around $116m, and less than a year later, sold the latter's European arm to ITWP, the parent company of online community and survey technology provider Toluna. 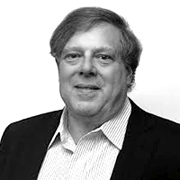 The Stagwell Group, which is run by President Bill Clinton's former pollster Mark Penn (pictured), will relaunch the group as Harris Insights & Analytics, while the Harris Poll brand will remain unchanged. This is Stagwell's fifth majority-owned acquisition, and Harris will now join strategic communications firm SKDKnickerbocker, entertainment research firm National Research Group (NRG), creative digital firm Code and Theory, and integrated performance-driven global marketing firm PMX Agency. Commenting on the deal, Penn said: 'We are pleased to bring into the group one of the truly great brands in public opinion research. We are excited to relaunch the Harris brand and to bring deep research insights and 21st century analytics to our clients' biggest challenges. We will harness all of the opportunities of real-time data to bring state of the art research to our clients'. Web sites: www.stagwellgroup.com and www.theharrispoll.com .